Chip Gaines and his wife Joanna founded Magnolia Homes, Magnolia Market, and Magnolia Realty. Their TV show, Fixer Upper, has made them a popular couple in the home remodeling business. This book reveals stories about Gaines' childhood, his early years as an entrepreneur and his relationship with his wife. He has made many stupid mistakes in the past but he has learned many lessons from these. What difficulties did Gaines encounter along the way to success and how he was able to get past them? 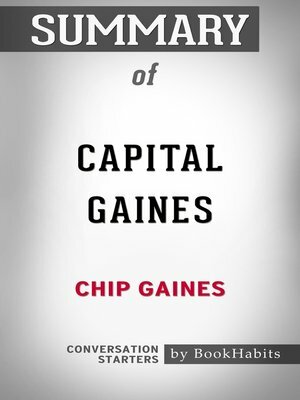 Capital Gaines: Smart Things I Learned Doing Stupid Stuff is Chip Gaines' second book after the #1 New York Times bestseller The Magnolia Story.